Under the expert supervision of our team of skilled professionals, we supply, trade, distribute and export a comprehensive range of best quality Cable Termination Kits. 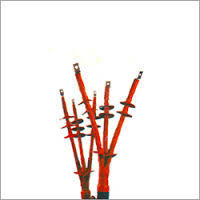 upto 72 KV / 145 KV Procured from reliable and certified vendors, these kits are highly appreciated in the market for their robust design, optimum performance and low maintenance. Offered kits are available with us in bulk due to our rich and well-connected distribution network. Raychem Cable Jointing Kits offeredprovide for suitable insulating and sealing performance and feature use of heat shrinkable and resin compound materials which make these deliver optimum functional working support. 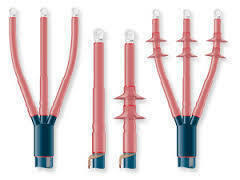 Further, these are used for establishing premise of straight and branch cable joints for voltages up to 1 kv. 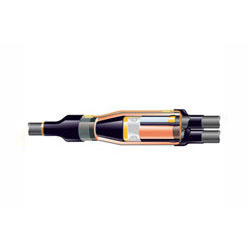 Some of its features include allowing for simple and fast installation; immediate backfill and energization support; excellent electrical insulation; proven mechanical strength; use of new generation of heat shrinkable jointing technology for optimum performance. Our company is considered a well known name in the market that engages in offering a massive collection ofLow Voltage Joining Kits. Made available in different specifications, these robust, highly durable and efficient kits are hugely sought after in the market. Owing to the regular performance and good results, these are widely popular in the market. Our company is instrumental in offering premium qualityMedium Voltage Termination Kits to our prestigious customers. The offered kits are sourced from trusted vendors who manufacture these kits from best quality raw materials. Their steady performance, low maintenance and easy installation make these kits highly demanded in the market. 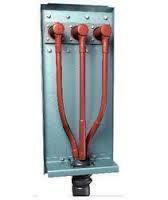 We supply Raychem Busbar Sleeve is developed keeping the issue of safety foremost. 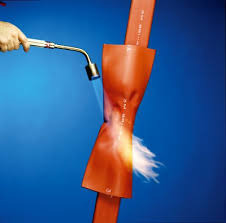 The Heat Shrink Busbar Sleeve is appropriate for covering exposed bus bars in pillars and cabinets. Our product considerably reduce the threat of electrocution. Surge arrestors and HT sleeves provide these tubes continuous length and with the feature of high flexibility, which assures trouble free bending without the fear of cracking.we supply 11kv ,33kv & 66kv bus bar sleeves. Under the expert supervision of our team of skilled professionals, we supply, trade, distribute and export a comprehensive range of best quality End Termination Kit. Straight Through Jointing Kit offered provide for suitable insulating and sealing performance and feature use of heat shrinkable and resin compound materials which make these deliver optimum functional working support. Looking for Cable Jointing Kits ?